Bengal Aquaflex is heavy duty APP (Atactic Polypropylene) modified polymeric waterproofing membrane manufactured to high standards. It is a five- layered membrane with a centre core of 100 micron, HMHDPE. The centre core reinforcement protects against water and moisture and makes it totally impermeable. The centre core is coated on both sides with high quality polymeric bitumen with properties of high softening point, high heat resistance and cold resistivity. This makes it ideal for even heavy duty ‘Waterproofing treatments’. The polymeric bitumen on both sides of the centre core is protected on both sides with thermofusible HMHDPE film. Aquaflex is ideal for rooftops, basements and terrace gardens. It meets CPWD Specifications. •Clean the surface to make it smooth. 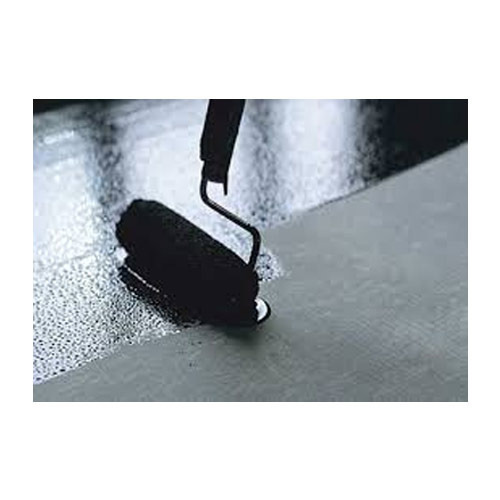 •Apply a coat of Bengal Primer @ 0.3 liters per sqm on the clean surface. •Lay and press Bengal Polyflex on the hot bitumen. •A minimum overlap of 100 mm is recommended between the two rolls of membrane to be sealed with blown bitumen. •Bengal Aquaflex is to be topped with screed or tiles as the case may be. Penetration at 25°C, 100 g, .5 sec. Established in the year 1990, Bengal Bitumen is the uniquely positioned Manufacturer, Exporter, Wholesaler and Trader firm of best quality Emulsion and Bitumen Products. We bring forward a broad variety of winning quality products, which includes widely demanded Bituminous Products, Asphalt Roofing Felt and Water Proofing Membrane. Our product line is exceeding the competition for its highly penetrative, excellent adhesion, Endurance of withstanding expansion without cracking, flawless finish and maintenance free long lasting performance. Our understanding of demands in various industries encourages us to deliver excellently; we build and supply a broad range of bituminous products, waterproofing membrane, waterproofing products & other allied products. Our leaders are dedicated to exhibiting our extraordinary responsibility to be the most esteemed manufacturers. And, the depth and passion are shown in form of the much anticipated product range that is earning the challenging demands of our customers from industrial and commercial sectors. To achieve the required productivity levels we have introduced leading technology at our modernized R&D set up and associate with manufacturer’s recognized vendors and logistics companies. Moreover, we owe our productive growth to the dedicated team members who endeavor to gain the customer insights by accompanying rigorous market analysis and bring forth remarkable products. Furthermore, the key facets that expand the reputation of our brand Bengal Bitumen are the competing price and promise of prompt shipping. We import our broadened range of products from Italy, Iran and Dubai.